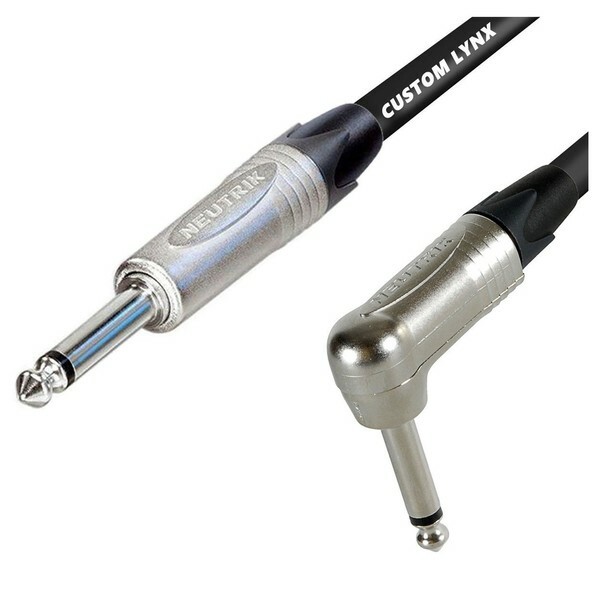 The Custom Lynx Pro Quality Guitar Cable with Neutrik Jacks (Angled), 3m is a premium-grade jack cable designed primarily for use with electric guitars. The angled jack is designed especially for use with guitar, providing added stability, making it perfect for live performances. The jack to jack cable is not only suitable for guitar but it can be used for numerous audio equipment and applications such as for mixers, amplifiers, microphones and more.